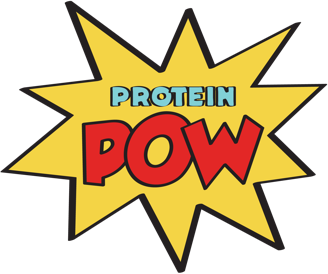 Photos from yesterday’s Protein Pow workshop are now live. You can see all 109 of them here. To say that we made delicious protein treats is a bit of an understatement – we conjured up a bona fide protein feast! It was an absolutely phenomenal day full of protein bars, protein cheesecakes, protein cookies, protein pizzas, muffins and did anyone say Toffee & Vanilla Frosted Banana Protein cupcakes? We cooked all our treats using Pulsin‘s delicious unflavored protein powders + a bunch of other healthy ingredients – like coconut flour, almond flour, peanut flour, gluten-free oats and several different kinds of sweeteners. Fresh fruit and veggies also featured prominently. Plus, of course, dark chocolate. It was a lot of fun! And I kind of want to eat through it all over again, hehehehe. If you want to join us at the next workshop, it’s going to take place in London, at the end of July. Tickets for the workshop are out and half of them are already gone so if you want to claim a seat at the table, try to do it soon, before they’re all gone (you can book your ticket here). It’s always such a blast to hang out with like minded people and chat about all things health, fitness, and nutrition! All while eating delicious protein foods. What’s not to love, ey?